On 10th October 1967 The Treaty on Principles Governing the Activities of States in the Exploration and Peaceful Uses of Outer Space, including the Moon and Other Celestial Bodies was signed – which was discussed in last week’s blog. This annual international celebration supports events in countries around the world to educate people about space, encourage everyone to benefit from the space industry and inspire young people to get involved in science, technology, engineering and maths. Space: Guiding Your Way is the theme for 2014 and focuses on all aspects of satellite navigation, from the GPS in your smartphone, though road navigation, shipping and disaster recovery. According to the World Space Week website there are over 700 events in over 60 countries taking place during this week’s celebration: everywhere from Afghanistan to Venezuela has an event, supported by a number of global events. The events vary from educational presentations, conferences and demonstrations through to water rocket competitions, training like an astronaut or even having coffee with an astronomer. The UK Space Agency has a ‘Tweet the Expert 2014’ event running between 2pm and 3pm each day this week. 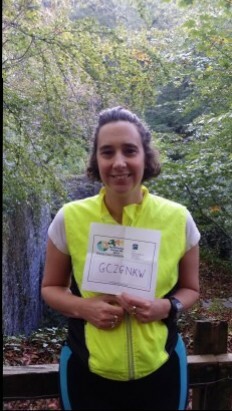 Here at Pixalytics, we didn’t want World Space Week to go by without getting involved, and so we’ve taken part in the EarthCache Virtual 5K. Although, don’t let the word virtual fool you as there has been running! EarthCache aims to teach people about the world by highlighting interesting geologic or geographic phenomenon or features you can visit, and there are almost eighteen thousand such sites worldwide. To participate in the Virtual 5K run, you have to run at least 5K starting or ending at a registered EarthCache site. 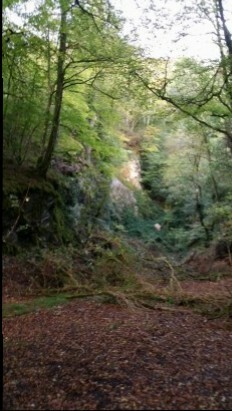 Our closest EarthCache site is a quarry site in Plymbridge Woods, pictured above. Records indicate it has been worked as far back as 1683, and slate from here was reportedly used in the building of Devonport Dockyard. 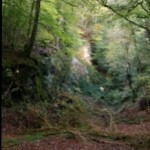 In addition to the quarry site, there is also a viaduct and ruins of a waterwheel and quarry workers cottages. To the right is the picture of Sam at the start of her 5K run. Are you going to join in World Space Week? Have a look at the website and see if you can find an activity, or join us in the virtual run. Whatever you decide to do, remember you’re celebrating space and your part in this industry. Are you Celebrating Earth Day! Do you know legal framework for working in space? 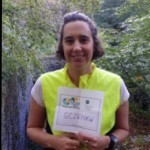 This entry was posted in Space Can Help, Space Industry, Understanding Space and tagged EarthCache, EarthCache Virtual 5K Run, Guiding Your Way, pixalytics, Plymbridge Woods, Plymouth, Sam Lavender, Space, Sputnik, UK Space Agency, United Nations, World Space Week by Andy. Bookmark the permalink.